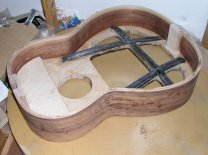 Sides and back laminated with Frame under construction. Sides, molded back and frame. 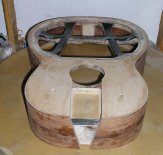 Body ready for back and soundboard to be attached. 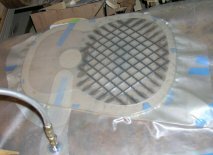 Using as vacuum bag to cap the lattice with two layers of 6k carbon fiber tow (ribbon). 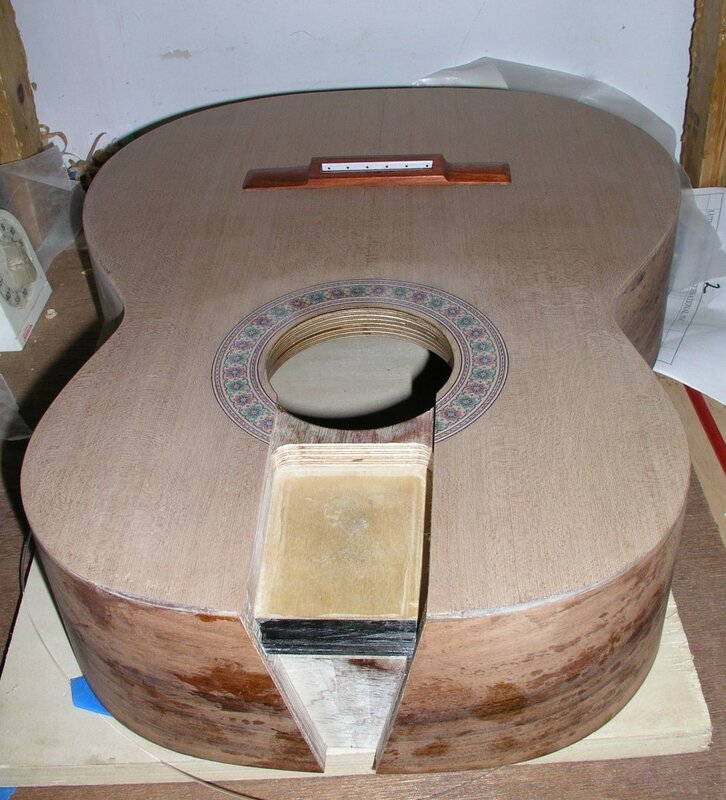 Top attached to frame. 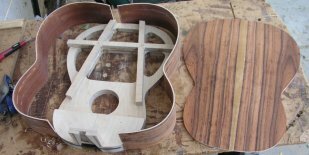 Bridge pinned to lattice with carbon fiber rods. 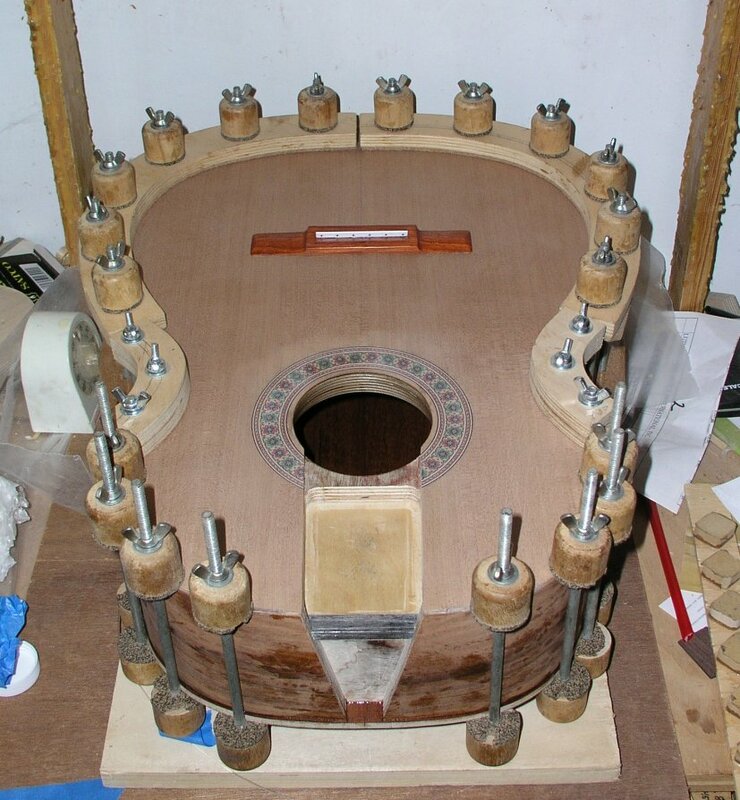 Gluing the back to the body. 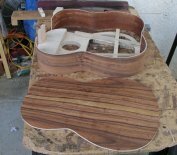 Tops and back glued to body ready for binding. 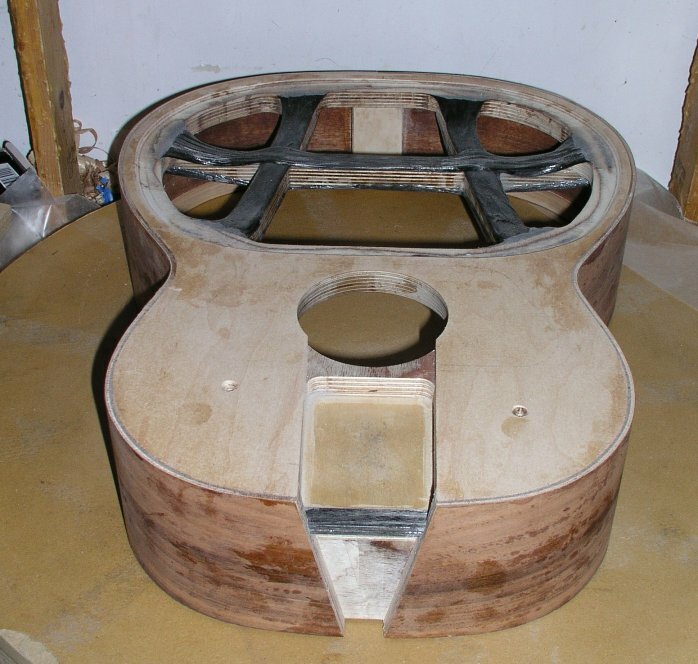 Body bound and purfled. 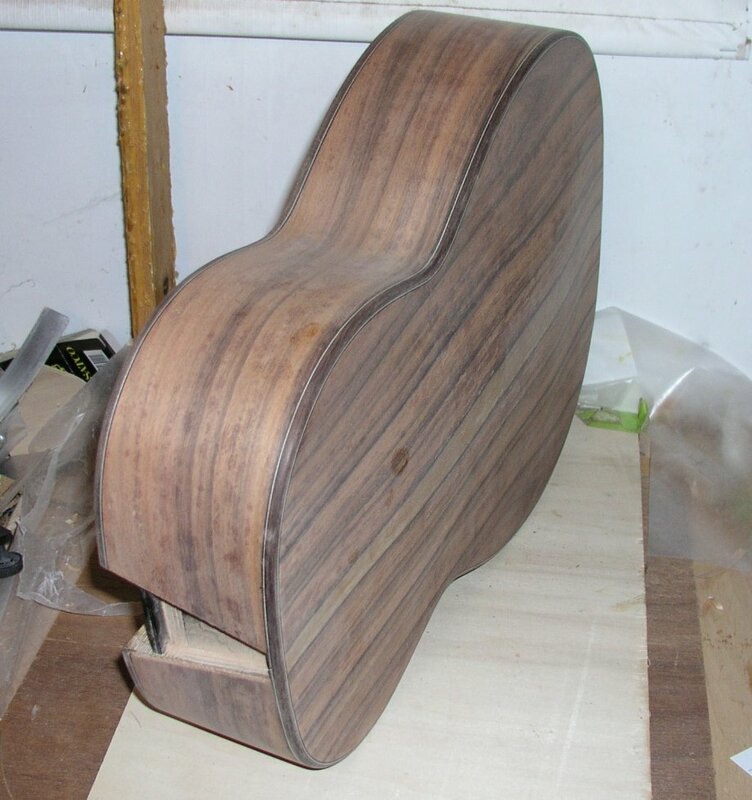 Ready for arm rest and finish. 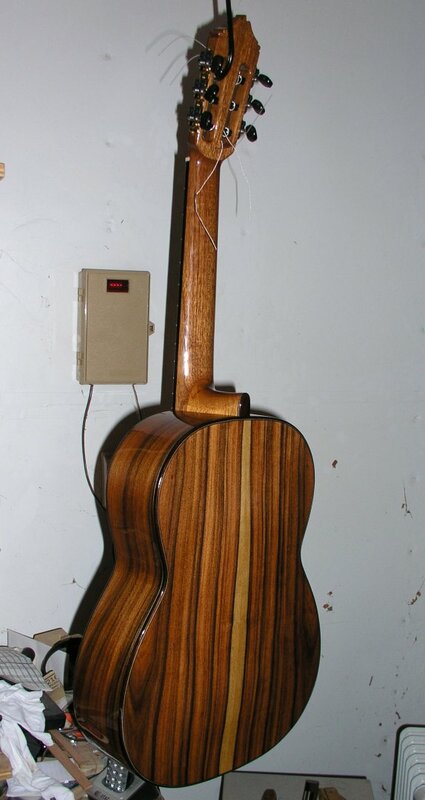 Back view of body. 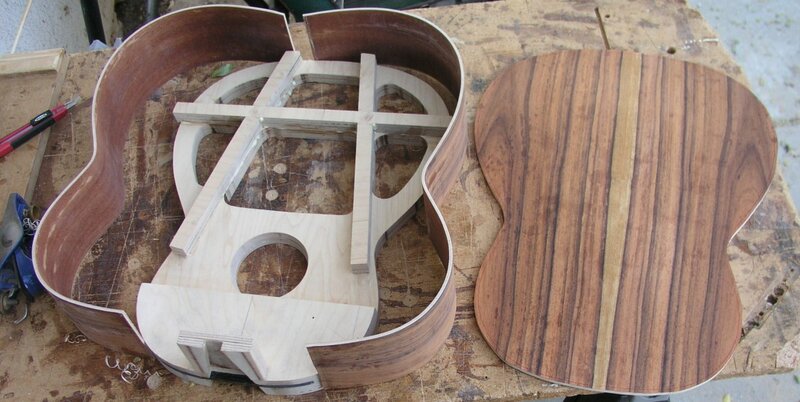 Ready for finishing. 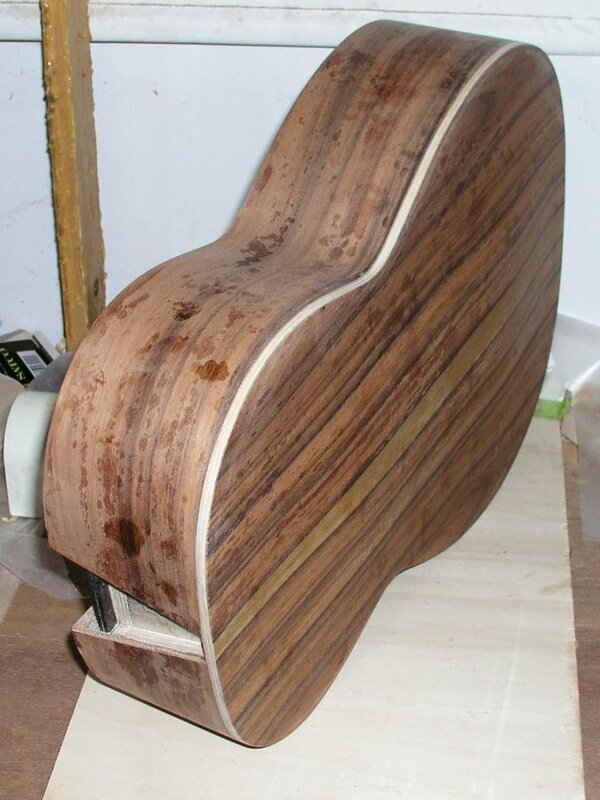 Armrest fitted and attached. Ready for finishing. 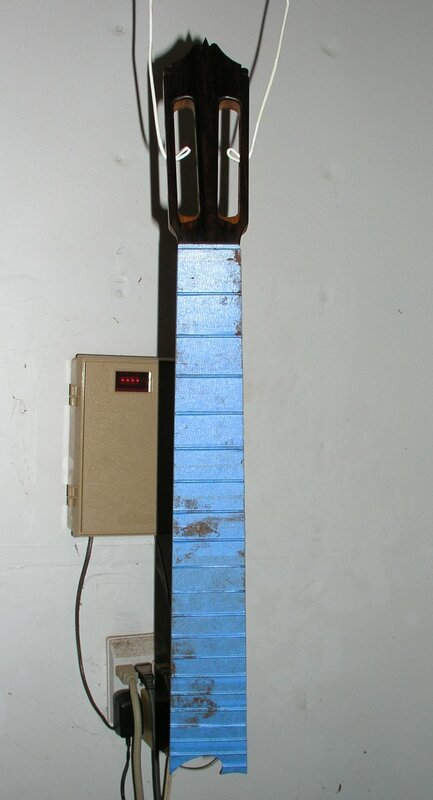 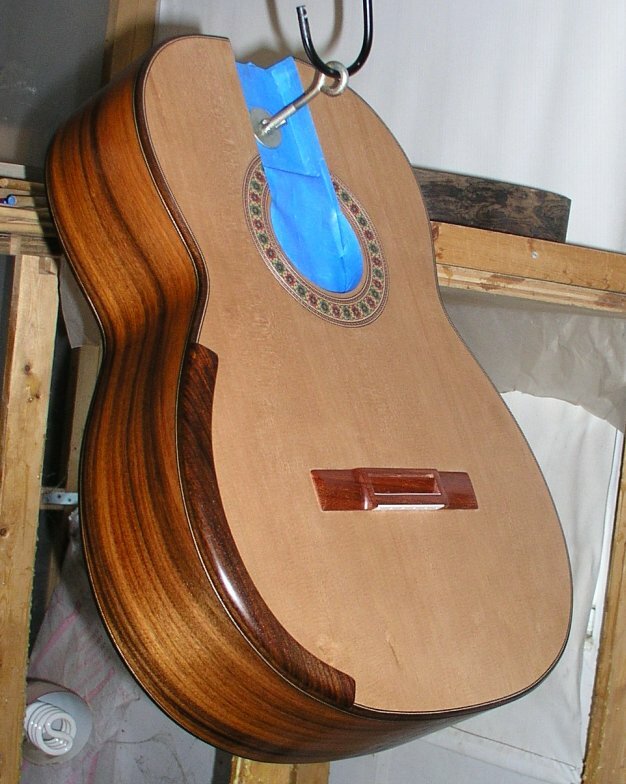 Neck in the finishing stage. 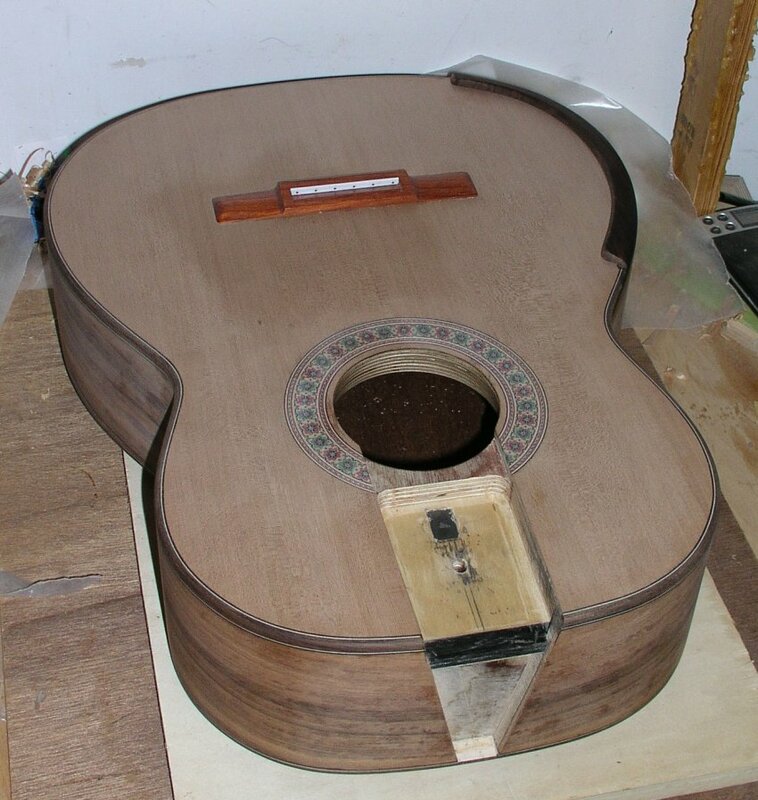 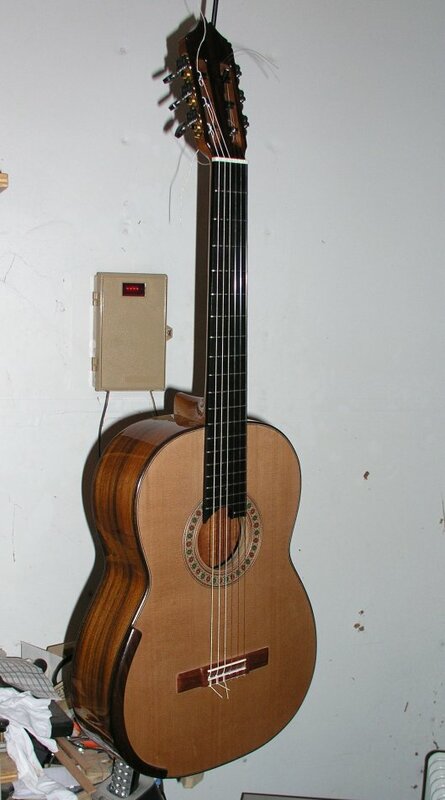 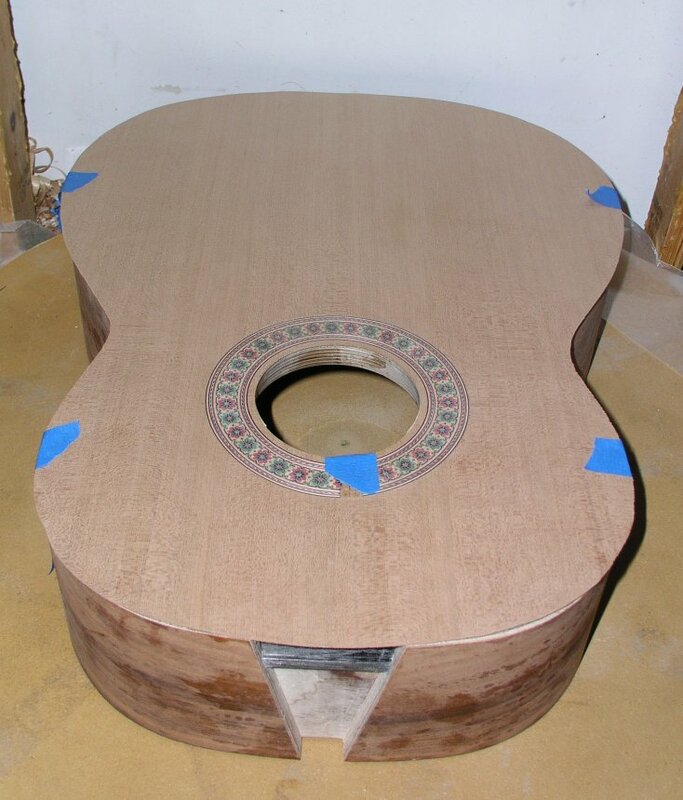 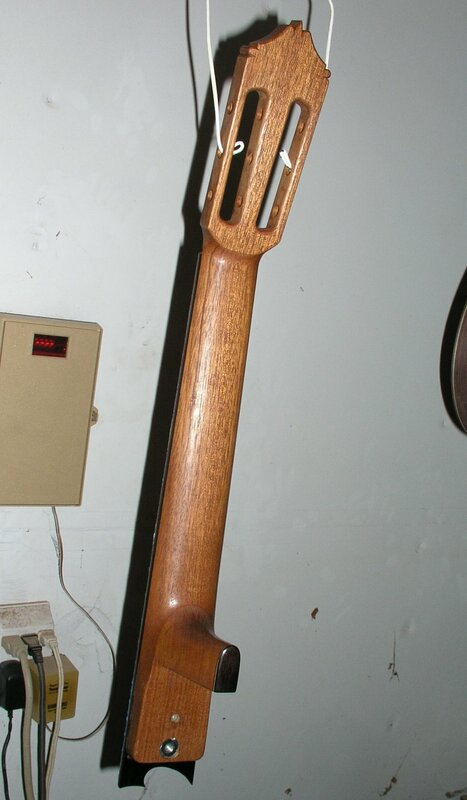 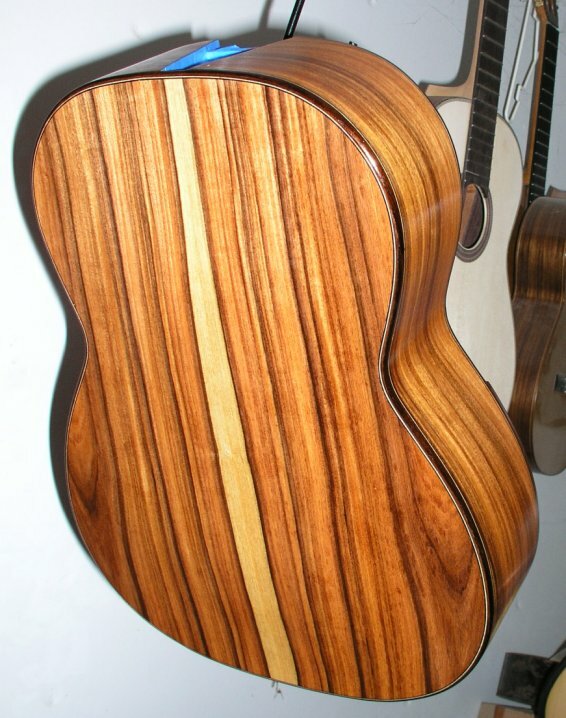 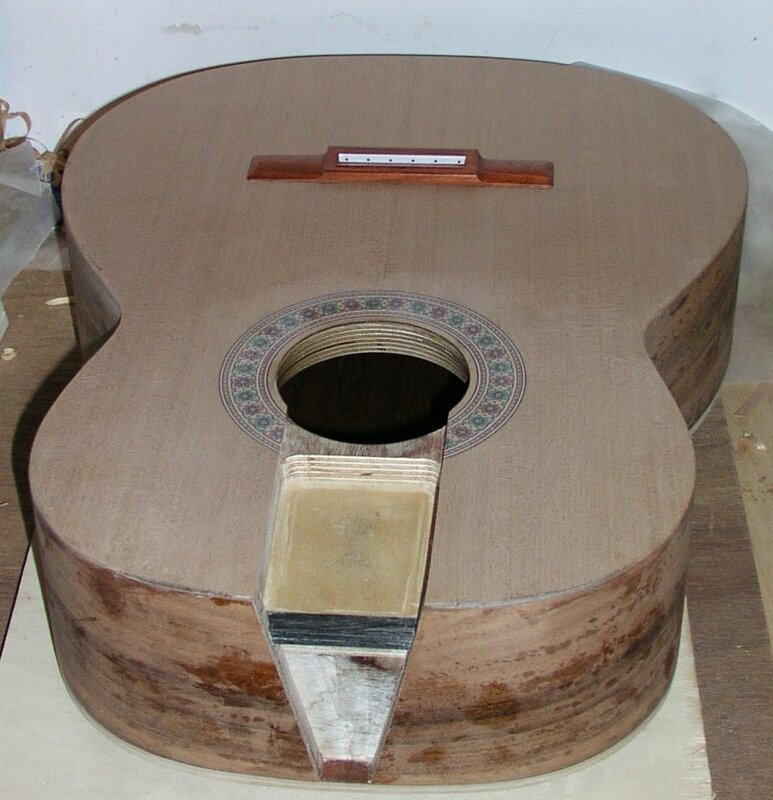 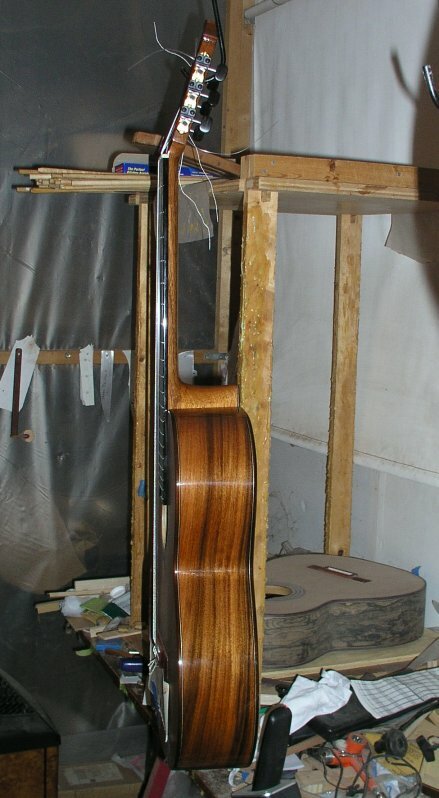 Front view of neck during finishing. 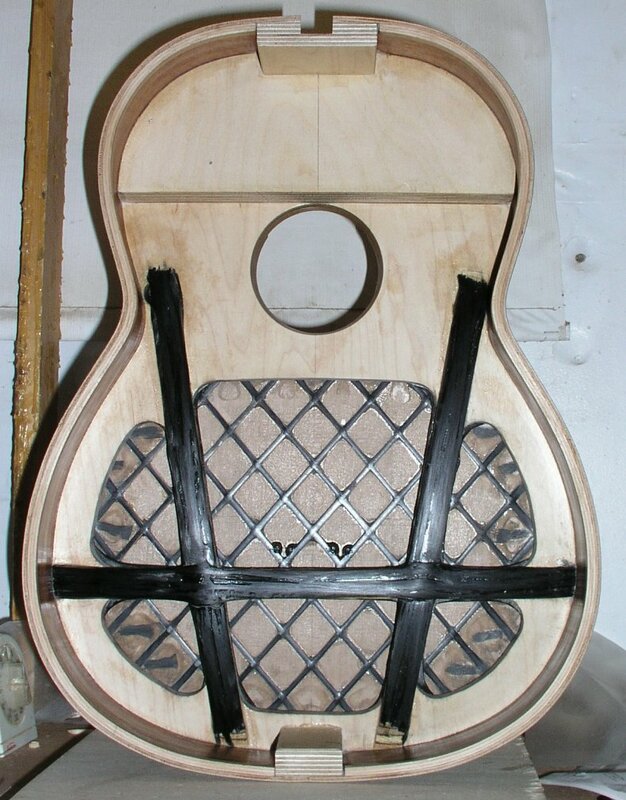 Finish application of the soundbox. 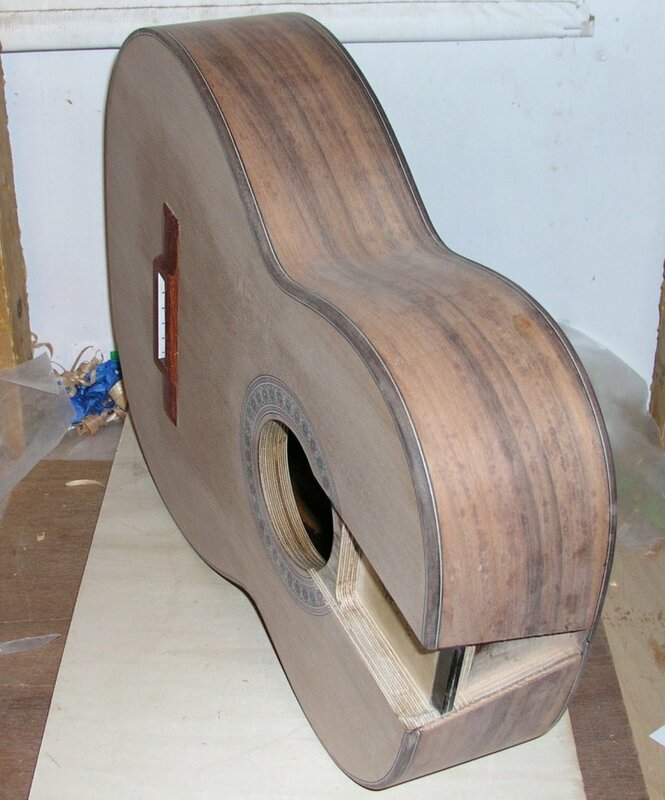 Back view of finish stage. Guitar construction complete! 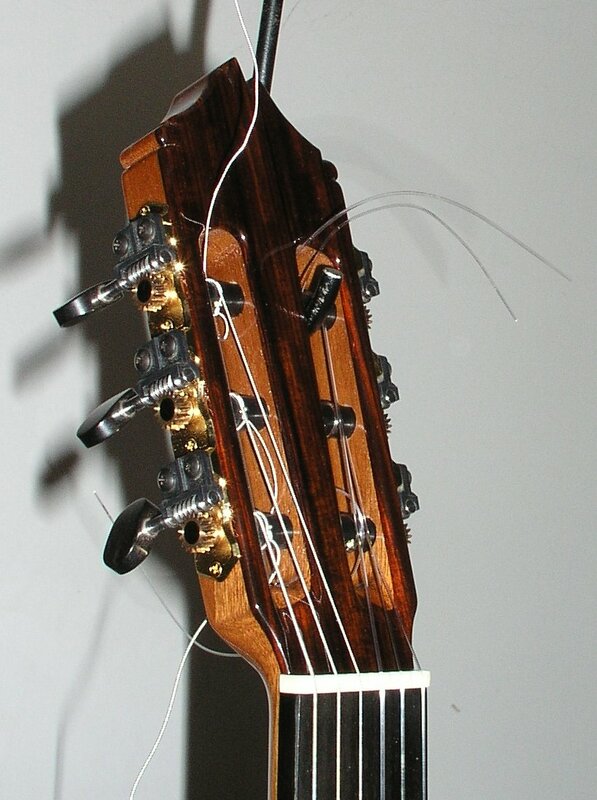 Head view with Gilbert tuners.